Create your unique Sony Xperia Z5 Compact wallet case. Make it your own personalised phone case with your photo or design. 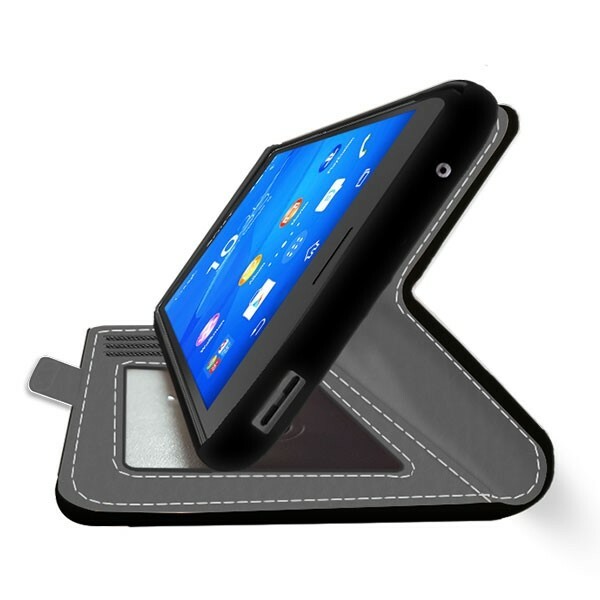 Keep your cards and phone safe with this wallet case! The ideal case for going out. Are you going out and don’t want to carry your heavy wallet? In that case, GoCustomized has the perfect solution for you! The Sony Xperia Z5 wallet case is made of a mixture of real and imitation leather and has room for two important cards and of course cash! You shouldn’t be worried about losing the money, as magnets hold the wallet case firmly together. Additionally, there are all the needed openings to completely maintain your phone’s functionality. 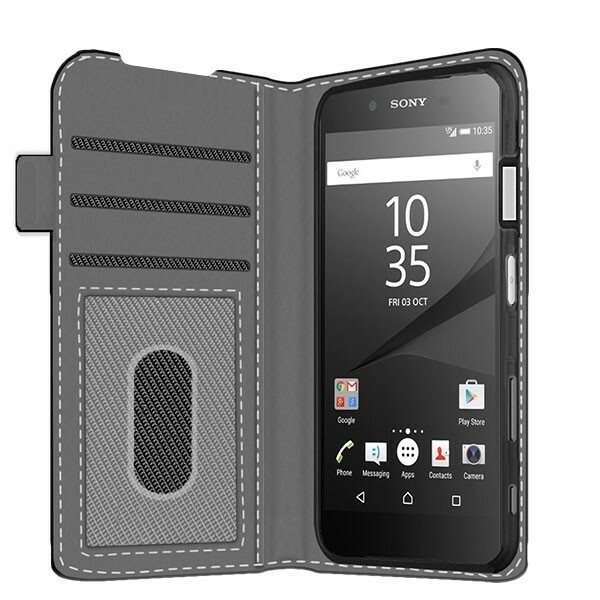 Make the most of your Sony Xperia Z5 wallet case! Your smartphone is precious and therefore you should protect it well from scratches, cracks and dirt. However, protecting your phone can also be done in a fun way! GoCustomized utilizes a user-friendly process in which you can design your own individual phone case with your own personal photos in four easy steps. With our customizer, everything and every photo is possible, whether it be of your idol or your favourite club! Let’s not get started on our wide variety of colours and designs we have to offer you. Don't enjoy waiting long? Neither do we! Nobody likes to wait, of course, which is why GoCustomized always strives for the fastest possible delivery method. Your product will be produced within 24 hours of your initial order and shipped to you immediately! There’s no need to wait at home because your package will go directly to your mailbox. Should you not be satisfied with the final product, don’t hesitate to contact us and we will offer you a suitable solution!